Hi there! Welcome to our blog! Feel free to cozy up with a cup of coffee and explore our most recent work and snippets of our life. 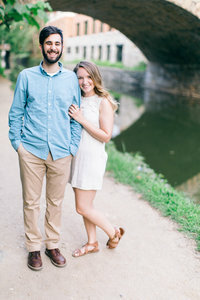 Luke and Ashley celebrated their engagement in Charlottesville during the sunrise, in the rolling hills where Luke had spent time with his church growing up. They met serendipitously while both serving youth at a camp in North Carolina, so it made sense for us to spend most of our time together in the mountains breathing in the cool February air. They are both so excited to get married at the same camp where they had first met in October. We can’t wait to celebrate with them! Want to browse other recent engagement sessions?